Since 1995, Los Angeles Limousine Service provides luxury and professional chauffeured transportation services throughout Southern California. Style, image, and comfort are among a few aspects that one would want to consider when traveling around the city or planning a special event. You want style, which is often not only reflected in your outfit. A complete ensemble will also include how you get to the venue. Image would of course determine how you carry yourself and how things you do are reflected, while comfort means having the luxury to be yourself in elegance and style. The warm and sunny City of Los Angeles is haven to the most interesting shopping sites, events venues, and party places. The best and most recommended way to travel around the city in style is by availing of limousine services by La Limo Rental. You see images of movie stars and rock stars in dark limousines in time for their events or concerts. Or special occasions and events such as weddings and parties with shining custom made limousines that are chauffeured by the best trained limousine drivers, truly a spectacular sight. A trend in party themes is also gaining popularity in the party scene. Los Angeles limousine is a favorite transportation service with choice for business events, parties, and special events. 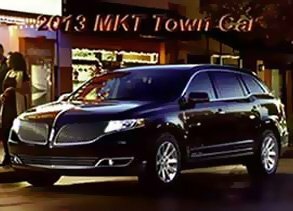 Travel around the city in style that includes fun, entertainment, and relaxation, or book for an out of town travel in one of the specially designed limousines equipped with features needed for your comfort and convenience. Our limousines and party bus services offer various types of packages for your formal transportation needs or for your special events, business, and party needs. Our LA Limousine rental service also includes helping you schedule and plan out your booking schedule so that your event transportation needs are well covered. Our limousine packages for example can help you come up with several options to let choose the perfect limo service package for special occasions and events. For last minute arrangements, LA Limo Rental also offers airport pick-up or from any point within the city. In fact, some of the top services that are most availed of our limo services include, airport pick-up, anniversary party arrangements, bachelor or bachelorette parties, birthdays, concerts, prom night, weddings, and business trips. City cruise trips, night-outs, and tours are also increasing in demand. Our limo services in Los Angeles offer various payment options. Package cost can be on a per day basis, on a per hour basis, on a per transfer transaction basis, or on a per package basis. Limousine Service Los Angeles also has an online site which customers can access 24/7. Booking can be done online which makes transactions easier and more convenient. Our website pages are also equipped with various online tools to help you with your booking details. There are online calendars to help you configure date and time bookings, online calculators and currency converters for tourists who want to book online as they plan their tours, and mobile applications to help you keep track of your bookings and schedule while on the road. Whether planning on a availing of limousine services for your business travel, special occasions, or parties and events, our affordable limousine services in Los Angeles can be reached online to help you plan, book, and schedule at your convenience. Backed with years of experience in the field, you are guaranteed that you will get the best deal that is well worth your money. We have the nicest fleet of gorgeously designed, fully-equipped party buses to choose from. They differ in size and seating capacity to accommodate a varying number of people; and they come with a range of amenities that will make any party an unforgettable one. Los Angeles limousine rental is the leader of party bus rental in Los Angeles,CA.Our well-trained chauffeur will make you experience the ease, comfort, and style of travelling and partying on wheels. He will fetch you and your guests from anywhere you want, and drop you off at your desired location so you do not have to worry about you and your guests' safety. We have a wide selection of party buses to cover a variety of events such as bachelor/bachelorette parties, birthday parties, proms, even informal corporate service. Our party buses can hold 20 up to 46 people. Our "Silver Star" party bus is a one of a kind in Los Angeles,which can accommodate a maximum of 46 people, and is often used for big parties. It is equipped with plush leather seating that exudes elegance and comfort. Its cutting-edge lighting system and high performance entertainment equipments can liven up any type of crowd. Its on-board bar is complete with all types of beverages, liquors and mixers that will satisfy you and your guests,with disco floor,striper pole, state-of-the-art lighting fixtures, high-tech entertainment system and a full bar that will surely delight your guests and exceed their expectations. Our "Ford F550" Party Bus is preferred for bachelor parties and informal corporate events because of its imposing exterior and dramatic interior. It is equipped with an elegantly-bonded leather shiny seats, that will not only provide a comfortable seating for you and your guests, but it will also bring a luxurious appearance to the party bus' interior. Its LED dynamic lighting will complement the party and make it more fun and exciting, plus its full entertainment system will make your guests entertained all-night long.La limo rental offers the most competitive and flexible prices for limo and party bus rental, making them more accessible and affordable to a greater number of people. We want nothing but to make you feel truly involved in creating the party of your dreams. Talk to us and we will help you choose the best ride for your event. IF you are interested to see our fleet, By calling our Los Angeles Limo Service Office toll free 800-640-0049 and making appointment, you are more welcome to come our limo and party bus facility to see our fleet.